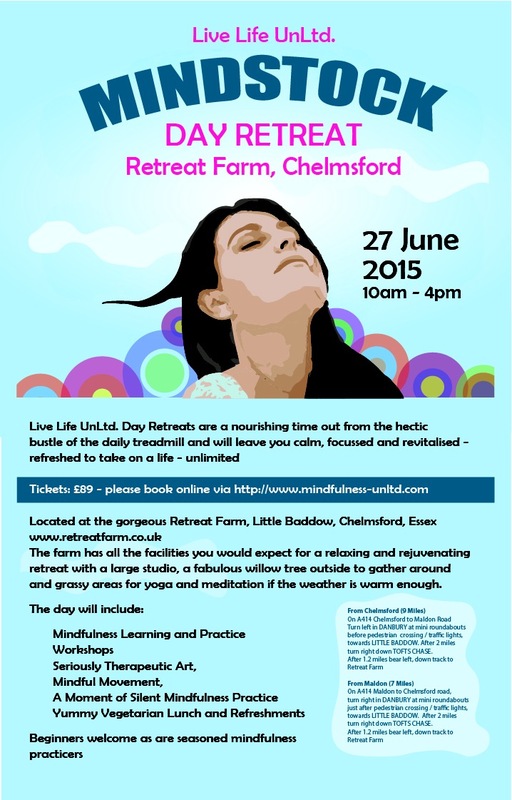 So excited about co-hosting a day retreat on Saturday 27 June in Little Baddow, Chelmsford. There will be yoga. Meditation, workshops, a great lunch and a beautiful setting that is The Retreat Farm.